Mod culture (Subculture); United States; Miscellanea. Mod culture (Subculture); England; London; Miscellanea. Mod culture (Subculture); Great Britain; Miscellanea. 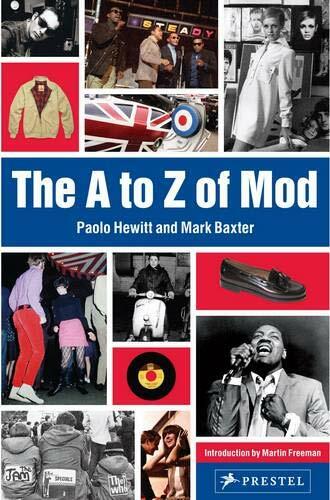 Amazon.com description: Product Description: This brilliantly illustrated book is a visual compendium on Mod style. For some Mod means a way of life: London clubs and Lambrettas, cigarettes and speed. For others it's clothes: trim suits, sunglasses and loafers. Combining style savvy with cultural anthropology, this guide to the many aspects of Mods takes an alphabetical approach to the most enduring youth cults. Beginning with A bout de souffle and ending with Zoot Money, authors and Mod experts Paolo Hewitt and Mark Baxter touch on every facet of the fad. Entries such as Eel Pie Island, Otis Redding, Mary Quant, and Ready Steady Go give intriguing background information, history and facts, while colorful illustrations bring Mod style to life. Style hounds, pop music fans, and Anglophiles of all ages will be entertained and inspired by this book that proves that, while "mod"-ernism has gone through several phases, it's never gone out of style.